Do any cameras face the street? How can it be downloaded (CD or thumb drive)? If you have a security camera, you may be able to help solve a crime. You may not even realize that your camera has captured footage that could be very useful to law enforcement, and investigators may not know who to contact so they can look at footage captured on a camera that overlooks a crime scene. Project COP is a partnership between security camera owners and law enforcement with the goal of helping to identify and arrest criminals. Project COP is a free program that allows law enforcement and the community to work together to help identify and prosecute criminals. 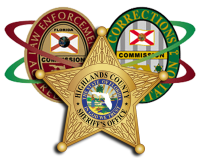 In order for a business or residence to take part in Project COP, residents and business owners must register their privately owned video surveillance systems with the Highlands County Sheriff’s Office. If a crime occurs, investigators can use the Project COP registry to quickly identify nearby cameras that may have captured valuable evidence and then contact the camera owner with a request to view the footage. Participants will get a decal (shown above form) to display on their window to indicate they are part of Project COP and have partnered with law enforcement to help solve crimes.